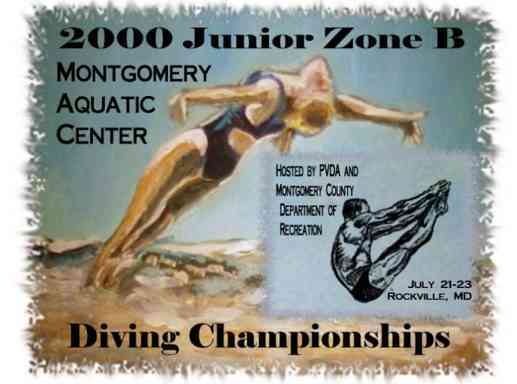 Montgomery Dive Club (MDC) a member of Potomac Valley Diving Association will be producing a Meet Program for the 2000 US Diving Jr. Zone B Diving Championships to be held on July 21-23 2000. Your ad will benefit the athletes of MDC. Email jpochetti@prodigy.net Emailed ads may be paid for at the Meet.